So committing to anything as big as this has always been a massive no-no for me as I know I’m really bad at sticking to anything and if I am pressured to do something, I automatically don’t want to do it. So here I am, at the start of September trying to prepare myself for what I hope will be Blogtober. If you don’t know what Blogtober is, then it’s basically when you upload a blog post every day in October. You might be familiar with Blogmas (I tried last year and failed), so this is very similar. As far as I’m concerned there aren’t any rules what so ever on what to write, just as long as you upload every day! For me, October is one of my favourite months as I love Autumn, crisp mornings and crunchy leaves so I’m hoping some of these posts will give you all the cosy feels! During October I will actually be living and studying in Germany (I fly in two days whilst writing this, but will have been living there for a month while you’re reading this ah! ), so whether or not my upload schedule will be great or not is only something I can tell when the time comes! I thought my first post to get me started would just be a wee introduction to Blogtober and why I’ve chosen to do this when I’ve stated earlier it was a massive no-no and that I even failed at Blogmas. I’m hoping my time in Germany will mean that I will be able to have a wee bit more time to myself and can focus on my blog content alongside my studies there. As well as exploring the country and cities around me, I thought this would be an amazing opportunity to share my time in Germany and make my time there as productive as possible. 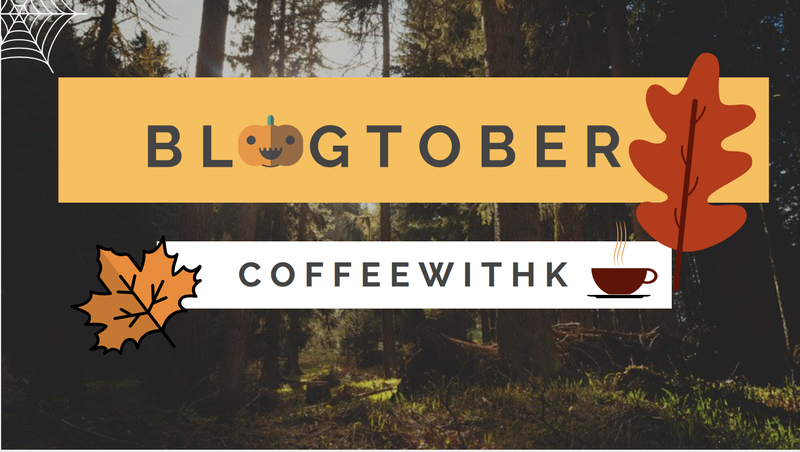 Let me know if you’re taking part in Blogtober this year and I’ll come and check it out!